Whale and dolphin watching is a popular tour in many countries, but not currently available in Belize likely due to the lack of knowledge of whales' migratory paths and distance from popular tourist destinations. But if you're in the right place at the right time, and with a bit of luck, you may encounter a magnificent whale migrating through the waters of Belize, or one of their smaller relatives, an Atlantic bottlenose dolphin or Antillean manatee. Seeing dolphins and whales in the wild can be a life changing experience! Why are Marine Mammals Important? That whales migrate through Belize's waters contributes to our biodiversity and potential tourism income. Whale & Dolphin Watching tours are very popular attractions in most destinations where they can be found, but guidelines should be implemented in order to manage access so impacts from human viewing activities are lessened. The word cetecean is derived from the Latin word cetus or "large sea creature" and the Greek word ketos meaning "sea-monster" and are a widely distributed in all oceans. They are carnivorous, aquatic mammals which include whales and marine and riverine dolphins, and are divided into 12 families and eighty-eight species. The largest cetacean is the blue whale, the largest animal on the planet. Atlantic bottlenose dolphins are the most common type of cetacean in Belize, followed by the spinner dolphins. Whales are most commonly observed between Turneffe and Lighthouse Atolls while enroute to dive Lighthouse Atoll by dive boat operators. There are also strandings of whales along the coast, albeit rare. 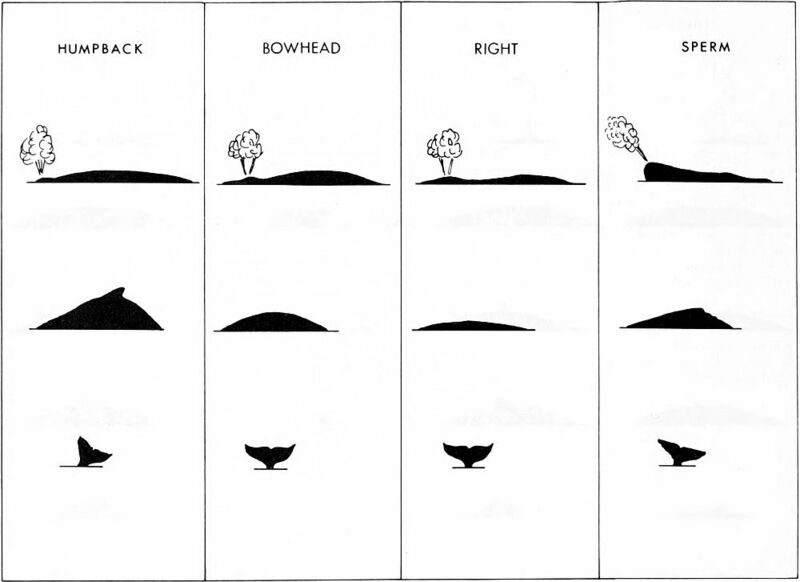 Whales are identified by the water spewn through their blow holes, the shape of the hump formed when they dive, and their tail. 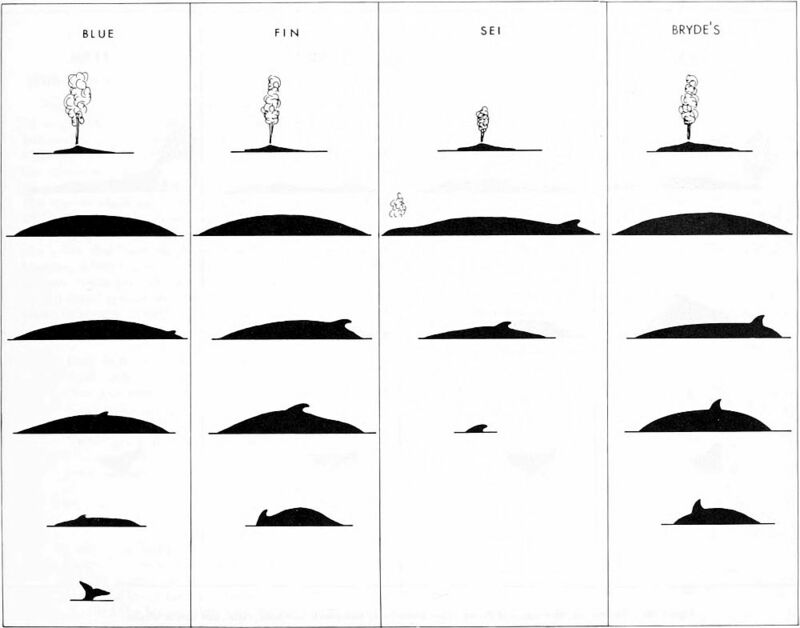 The following illustrations from Whales, Dolphins & Porpoises highlight the unique characteristics of each species.